Beacon Academy brings together independent school best practices and a challenging IB curriculum with the independence, freedom, and student-centered methods of Montessori. We value small class size, personal connections between teachers and students, and unique opportunities for real-world exploration. 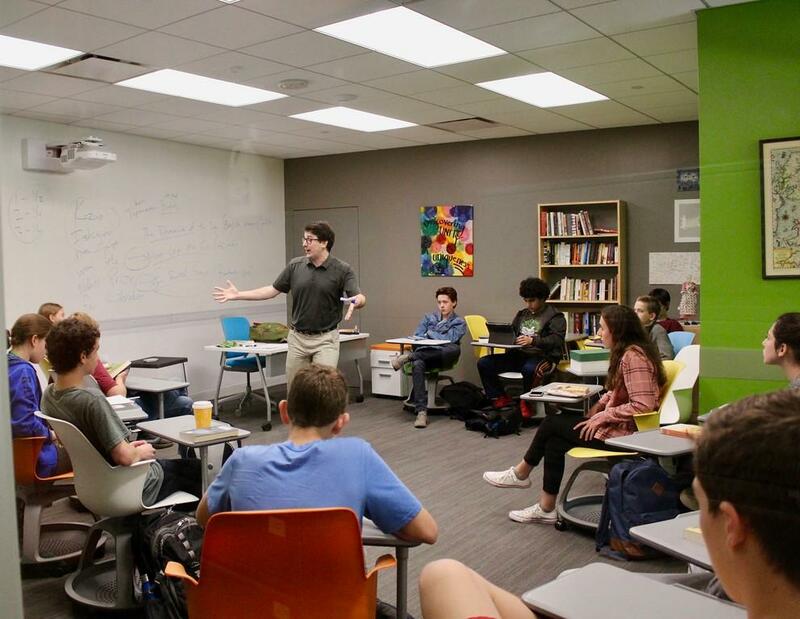 Beacon is a community school in the strongest sense with local and global partnerships that help students address for themselves what it means to lead a good and meaningful life. Investing in a Beacon education will make a difference for your child, not just in high school or college, but in the decades still to come. We strive for a student body that is diverse and inclusive. If you are interested in applying for tuition assistance, please click here to be directed to the Tuition Assistance Application Information page or contact Hilary Holder, Director of Admissions, at 224-999-1177. All information will be kept confidential. ﻿*An additional fee of $1,000 will be assessed for students in the senior class. This fee covers costs associated with graduation, including cap and gown, yearbook, graduation events, and the senior class trip.